If there are two topics that I like it is business and hockey. As a hockey fan I have become interested in the business side of things as well. The sport of hockey, like other professional sports, has become more of a business in the past decade or two. The business of entertainment. Which is one reason why being a hockey fan or sports fan in general is sometimes a tough job. Especially if the team you root for is not highly entertaining and not a contender year in and year out. So as fans we cannot be so naive to think that hockey is still the game that it once was. We have billionaire owners, millionaire players, cheerleaders and teams in Florida (Tampa Bay) and Carolina who have won Stanley Cups. Wouldn’t it be nice if the Stanley Cup returned to a Canadian team? Ah yes economics have dictated a different sport of hockey than some of us grew up with. Still it is interesting to see what the various NHL teams are worth from a financial perspective. Forbes recently released its annual list of the net worth of NHL hockey teams. Again we see that the most valuable team is the Toronto Maple Leafs. According to the report the average NHL team is worth $240 million. Interesting as the league is in its final year of its collective bargaining agreement. The league will be looking to reduce the amount of the revenue that the players receive. Currently the players receive 57% of revenues. This is highest amongst the major sports league. Look for the league to try and reduce by anywhere from 7-10%. Life is good for many NHL teams and players, but for how long? Here is a look at the worth of NHL teams. How Much is Each Canadian NHL Team Worth? 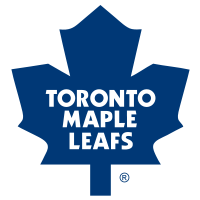 Toronto Maple Leafs – ranked first overall with a current value of $521 million. Montreal Canadiens – the most storied franchise in the league is the third most valuable team in the league with $445 million. Vancouver Canucks – the only other Canadian team in the top ten worth an estimated $300 million. Calgary Flames – are next at $220 million. Edmonton Oilers – saw a 16% increase in their worth over last year, third highest amongst all NHL teams with a current value of $212 million. With young guns such Ryan Nugent Hopkins, Taylor Hall and Jordan Eberle, merchandise sales are bound to go up further. The Ottawa Senators are next being valued at $201 million coming in at 17th overall. The newly relocated Winnipeg Jets are valued at $164 million rounding out the seven Canadian teams. Good for 24th overall, although in the first quarter of the season the Jets are not playing like a 24th place team. They have been playing very well and will be sold out for years to come. The move to Winnipeg saw the Jets experience the highest one year increase having surged 21% over the previous year when they were then the Atlanta Thrashers. Here is a look at the worth of all of the NHL teams for 2012.